Last year, Berto and I celebrated our 10th year anniversary. 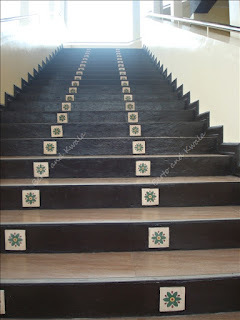 We went on a Batangas trip visiting places, eating local fares. 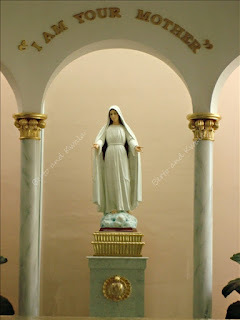 Our first stop was Our Lady of Mt. Carmel Church in Lipa City. This is the cite of Marian apparitions in 1948. A nun, Teresita Castillo saw a veiled lady in pure white, with a golden rosary on her hand, standing on what looked like clouds by the Carmel Monastery gardens. On September 14, 1948, the first shower of rose petals occurred. Locals call the church simply Carmel. The Monastery of our Lady of Mt. 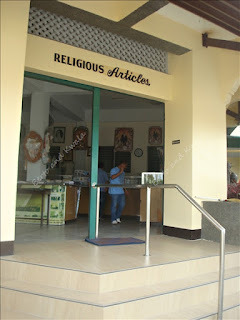 Carmel or lately the Monastery of Mary Mediatrix of all grace is a quiet spiritual refuge in the middle of Lipa City. This simple staircase marked with flowers leads to the veranda overlooking the garden where the apparitions occurred. We were there on a weekday, so we were the only visitors early in the morning. The veranda was really quiet and solemn. 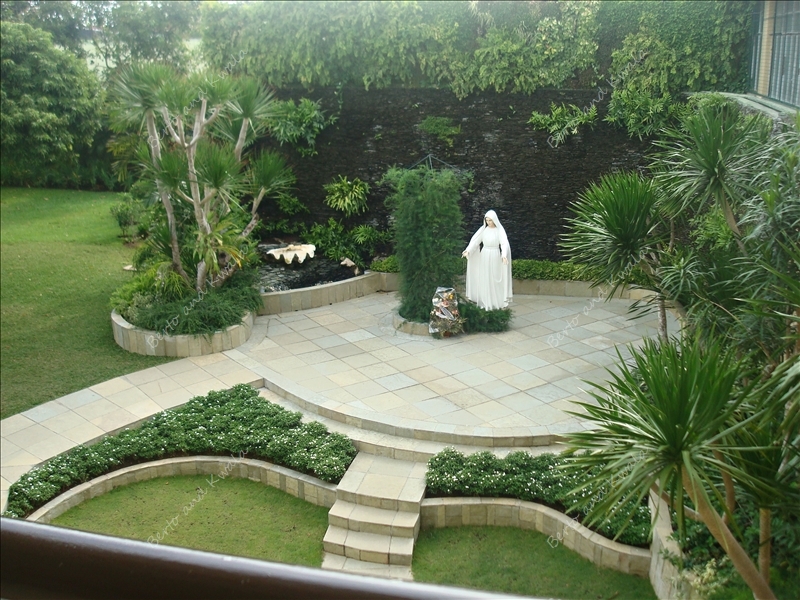 From there we got a view of the site where Mama Mary appeared. 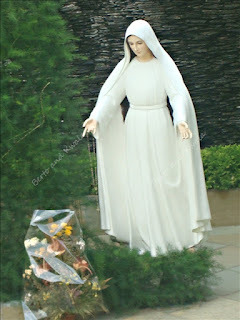 They now have a beautiful statue of the Lady to mark the site. 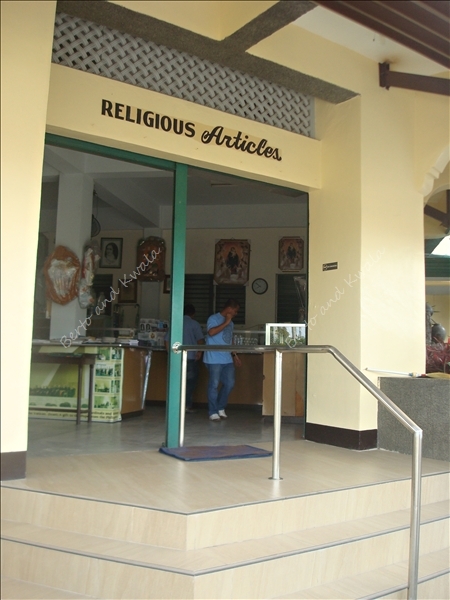 After saying our prayers, we went to the church's gift shop where we bought books and other religious items to take home with us. Board any bus bound for Batangas via Tanauan, NOT via Calabarzon in Pasay City. 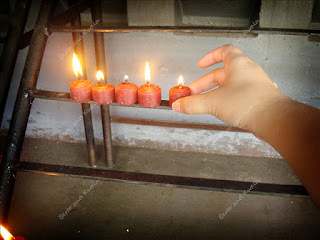 Get off at the Lipa Cathedral. You may ask around for directions, Mt. Carmel Church is walking distance away. From Makati, head towards SLEX and exit at Silangan (Batangas Lucena). Drive ahead until you reach StarTollway. Enter StarToll by turning right and exit at Bulihan, turn left after the toll gate. Drive until you see a fork in the road with Welcome to Lipa City sign. 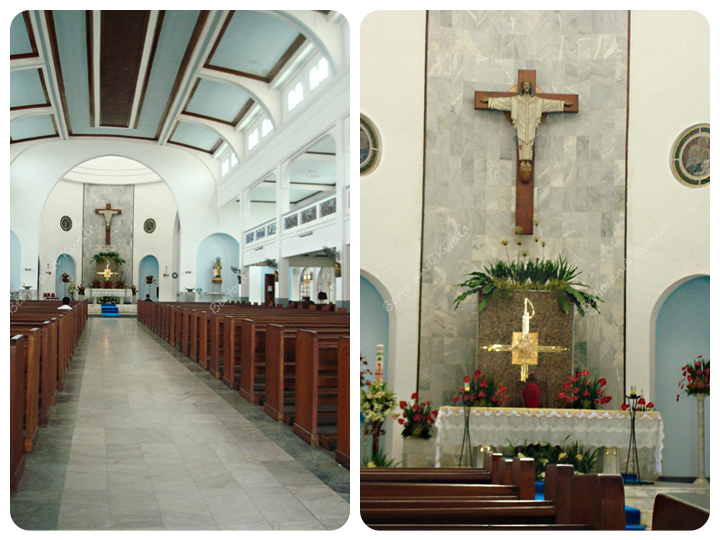 Choose the left side and continue driving until you reach the Lipa Cathedral. Drive past the cathedral and turn left when you see the Mister Donut store. You'll find the Mr. Carmel Church soon enough. I have to stress it is always best to travel with a map. We always carry a map when we go on road trips and I am the official Berto and Kwala map reader a.k.a official directions-asker when we're lost hahaha... =). Thanks for sharing that info Ann!